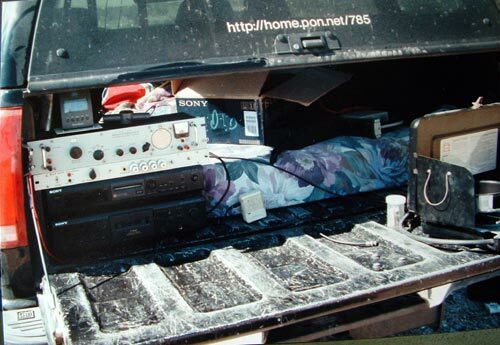 This is the tailgate VLF recording setup. The antenna and receiver is located about 150 feet away from the truck. A small AC inverter and a 7 amp-hour gel cell battery is used to power the recorders. 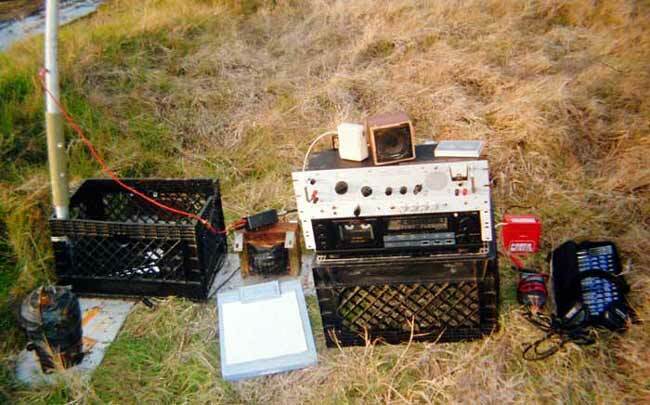 This type of setup was used on many VLF excursions.